Between Scottsdale to the east and Phoenix to the west, the beautiful town of Paradise Valley, Arizona, is a great place to call home. The splendid real estate options found in this remarkable community are diverse and include luxury single family homes, condos, townhomes, multi million dollar estates and everything in between. Sitting in the shadows of Camelback Mountain, Mummy Mountain and the Phoenix Mountain Preserve, the town of Paradise Valley has numerous homes with an upscale contemporary ambiance and gorgeous gardens, lush landscaping. Other homes in Paradise Valley have a quiet rural desert feeling, so whichever you prefer, Paradise Valley has you covered. Paradise Valley is a primarily residential community that was incorporated in 1961. Residents of the community greatly value the area’s natural beauty and have gone through great lengths to preserve it by protecting its large open spaces and ensuring the breathtaking mountain views remain unobstructed. Paradise Valley has excellent education opportunities in both its public and private schools. The town is also fortunate to have many world-renowned hotels and resorts such as The Phoenician, Camelback Inn and The Sanctuary Resort and Spa. These wonderful resorts afford residents easy access to top-notch fine dining. The town also has impressive opportunities for hiking, golf, tennis and other recreational activities. Boasting a perfect balance of old world charm and new world comforts, Paradise Valley is a great place to buy a home. Composed of around 16 square miles, Paradise Valley has around 5,000 residences and 12,800 residents. Nestled in the 85253 zip code, this quaint small town has a motto that reads, “there is a reason we call this valley paradise,” and if you buy a home here you’ll quickly understand. Condos and townhomes in Paradise Valley have an average listing price around $466,000 and generally do not exceed $1 million. Single family homes in Paradise Valley have an average listing price around $2.8 million but can have listing prices in the tens-of-millions dollar range. 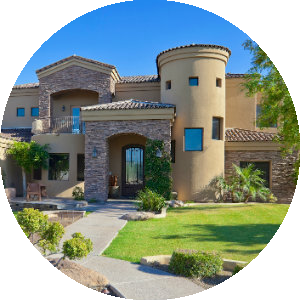 If you would like to buy a home in Paradise Valley, Arizona, please allow us to assist you and contact us today. 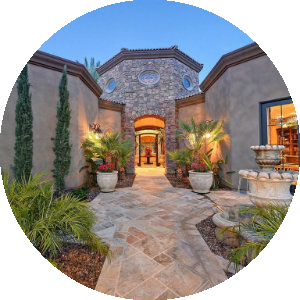 See today's Paradise Valley homes for sale & Paradise Valley AZ real estate listings below. 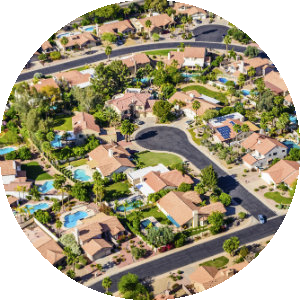 Get exclusive information about Paradise Valley neighborhood properties, or schedule a home showing today - contact your Paradise Valley Arizona real estate specialists now!